Samsung Galaxy SIII buzzing all around the world and many of you already own the phone or preordered the device. 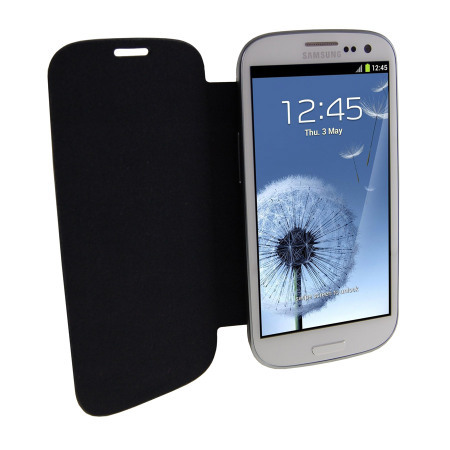 Now you need Accessories for Galaxy S III not only to protect your phone but also to improve the productivity. Samsung Galaxy S III is big phone and you’ve to protect the phone from scratches, smears, dust and dirt. Here is the list of Samsung Galaxy S3 Accessories that you should buy. The Accessories are sleek and user friendly like Galaxy S3. Cases not only protect your phone from any bumps, scratches or drops but also give you the grip to hold your phone. Galaxy S3 has plastic body and recent video shows that phone is not powerful as we think. So hard cover shell cases is must have accessories for your phone. Case-Mate Barely There case protect the back and sides of the Galaxy S3. The Case is light in weight and it cost you $25.00. You can connect your Samsung Galaxy S3 with other display such as television using Samsung WiFi Display Hub. It allow you to stream photos, documents, videos and games from phone to TV. For this your TV must support HDMI. Users can buy the Wi-Fi Display hub from nearest dealer or you can buy online. Samsung Galaxy S3 released with 16 GB of Internal Storage which is not enough in high end smartphone, you need external storage. Good News is that Galaxy S3 support external sdcard up to 64 GB. The SanDisk microSDHC card gives you a high performance. The Battery charger will charge your Galaxy S3 wirelessly while you can also charge your spare battery that fits into a slot at the back of the stand. Good bye to the wires with this kit you’ll never face power outage problem on your Galaxy S3. The Wireless Charging kit is not yet released. The Flip cover is official Samsung product and it’ll protect your Galaxy S3 from all the sides, it’ll protect your back as well as screen. The Cover was made from high quality synthetic materials. The Flip cover will cost you $46 and you can purchase it from nearest Samsung dealer. The many other accessories also released by Samsung but its not yet available in the market.